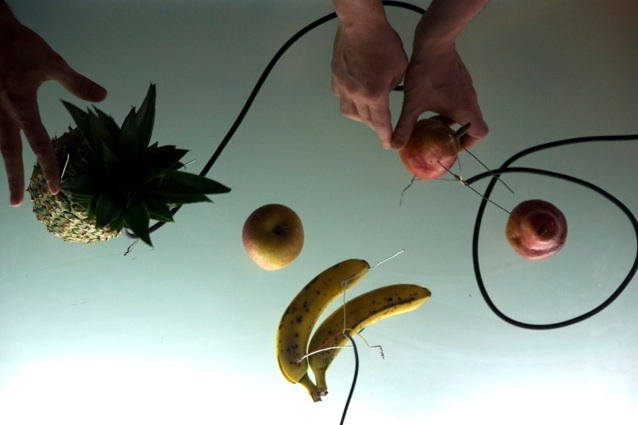 Natura Morta is a musical concert where the only instruments used are real fruits and the sound we’ll hear is exclusively the electric energy contained within them. The elettric power of the humans getting mixed with the energy of the fruits makes the sound audible, is the fisical contact between human and nature that generate the music. Each fruit has acid in it that produces electrical tension, using a special technique we can boost these frequencies making the inaudible audible, the sound of the vital energy of nature. 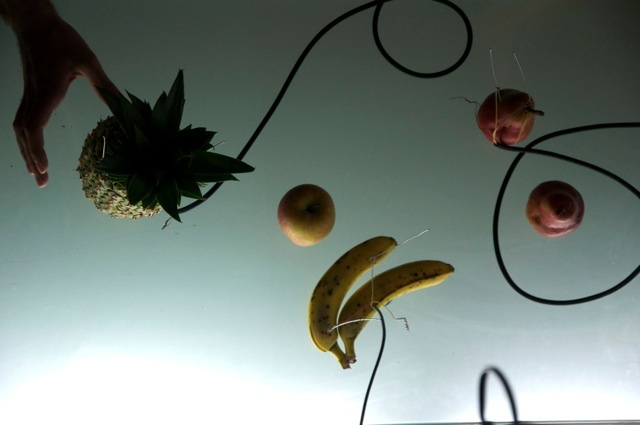 The individual fruits are raised on wooden platforms, standing on a transparent plexiglass plate lit from under. Each time a fruit plays its base will lit up, staining the surrounding space, making it changeable and dinamic. Each platform is a home made midi controller which allow us to modulate the sound wave’s, creating more complex rhythms and sounds. 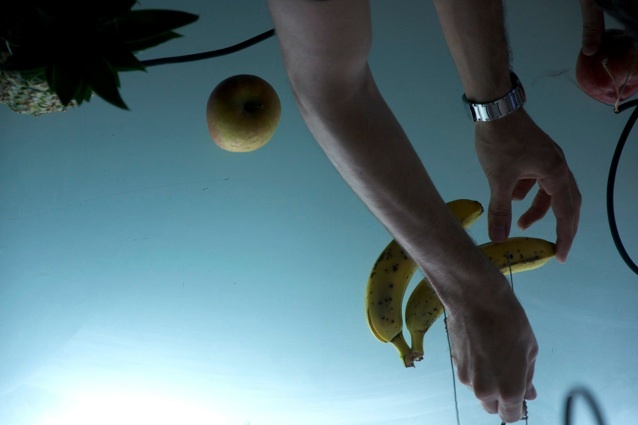 The sound frequencies are emphasized by a large videoprojection representing a macro vision of the fruits. Slowly the concrete images becomes abstract, the Natura morta (Still life) picture changes reacting precisely to the sound vawes, crashing and dissolving into pure shapes of colors and lights.